YOU WILL NOT FIND A BETTER COLT! 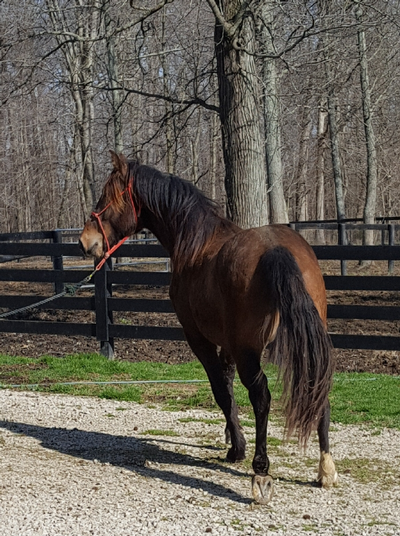 THIS COLT IS 15'1 HANDS TALL AT 20 MONTHS!!! you will not look like you are riding a pony with this boy... Papers in hand and in my name, so you will get a registered twhbea horse. 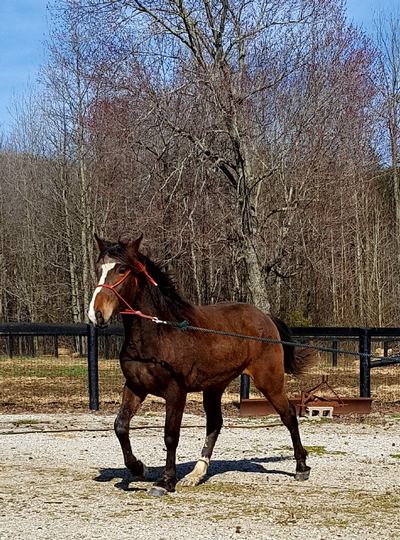 Measures 15'1 and will not be 2 years old until July 28th... We think he will mature at 16 hands...HE will be the bigger horse many people need... Nice bone and great mover already... Current negative Coggins good until May. Mack is intelligent and athletic already... Regular deworming since two months of age. Regular farrier care since weaning. 5 way and west nile shots given and boosters.. Has been loaded & unloaded in a trailer. He remembered his lesson from the fall and walked right in. Has worked on moving left and right away from pressure. Trainer said tell this colt what you want and he will get to work for you. If you are looking for the best call us... For more info, photos or to discuss this colt, call 812 653 0531. Located 17 miles north of Louisville, KY.